Good write up again and something I might look into myself. 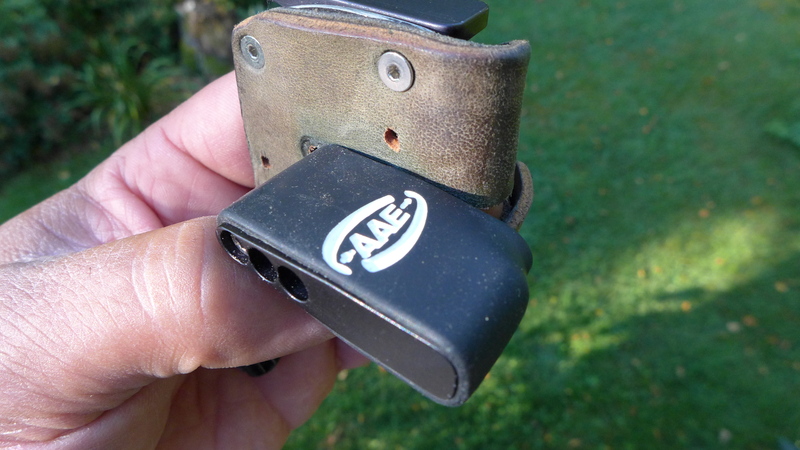 Some months ago I purchased AAE’s Elite Adjustable Finger Spacer for my AAE Cavalier tab. This was prompted because after prolonged shooting I would have some soreness behind the first digit of my index finger where my finger was in contact with the hard outside edge of the standard spacer. Maybe a form issue however it made me check into spacer options. The Adjustable Finger Spacer kit comes with an aluminum spacer, a soft rubber band that fits over the spacer, a fastener and a flexible, 3 x 3 inch, flat, plastic square. When I opened the package I was surprised that only a single screw was supplied as the standard spacer uses two. 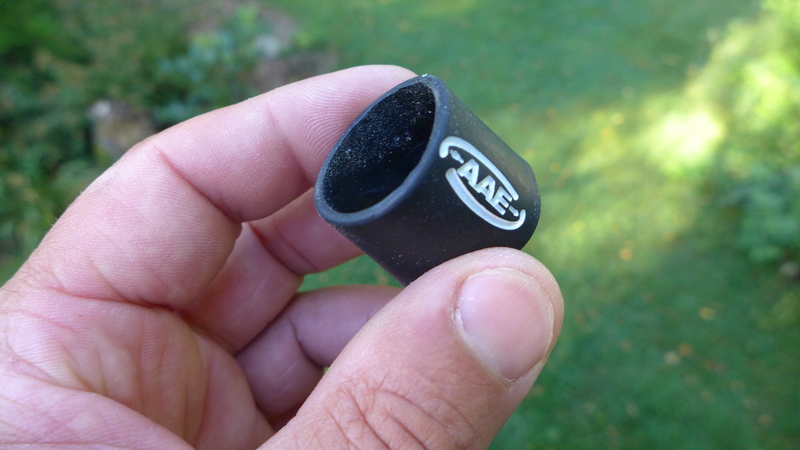 I wondered if this would make for a secure fit or if the spacer would roam on the tab surface. I also had no idea what the flat plastic square was for. There were no instructions in my package that clarified this.